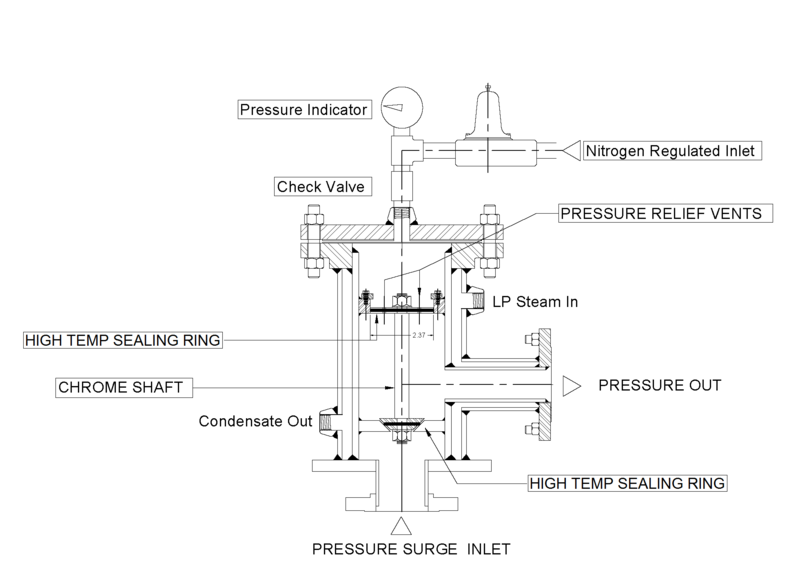 Our Pressure Surge Relief Device (PSRD) is a large-volume relief system that does not rely on springs and has applications in many industries. The device is fully steam-jacketed and the internal shaft can easily be removed for inspection. The top chamber has a nitrogen/instrument air (IA) pad and the gas pressure is supplied through a small instrument back pressure regulator. The set pressure is based on the overall cross section area between the top plate and the seat cross section area of the lower plug. A unique feature of this product is its ability to reseal itself.